1 ct Natural Tanzanite Oval Stud Earrings in Sterling Silver by Finecraft at Smart Silver Stacker. MPN: JE01949TZ6X4MM. Hurry! Limited time offer. Offer valid only while supplies last. Take your stud earring game up a notch! 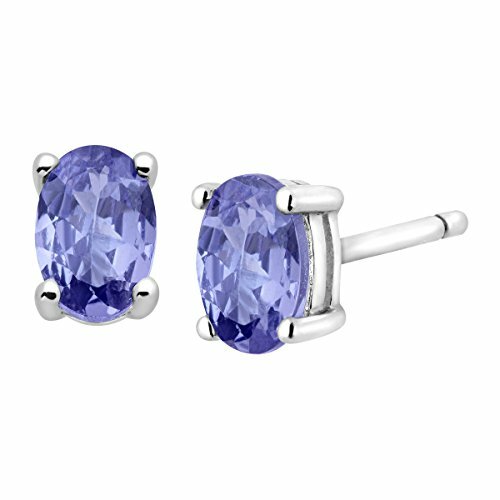 These 1 ct natural tanzanite stud earrings boast a beautiful blue-purple color and an oval-cut design. Take your stud earring game up a notch! These 1 ct natural tanzanite stud earrings boast a beautiful blue-purple color and an oval-cut design. Earrings feature post with friction-back back-findings for easy insertion and removal. Pieces measure 1/4 by 3/16 inches.